Check out the top 5 must do activities in Rotorua! New Zealand is the only place in the world where you can experience Maori culture. The haka, which is performed by many New Zealand sports teams all around the world, is actually a Maori war dance. In Rotorua, there are many places to experience the haka and other aspects of Maori culture and should definitely be on the list of things to do in Rotorua at night. We think one of the best places is Mitai. Here, you not only get to see the culture but you also get to taste it! After the Maori performance of song and dance, enjoy an all you can eat hangi. Hangi is a traditional Maori method of cooking food in the ground. 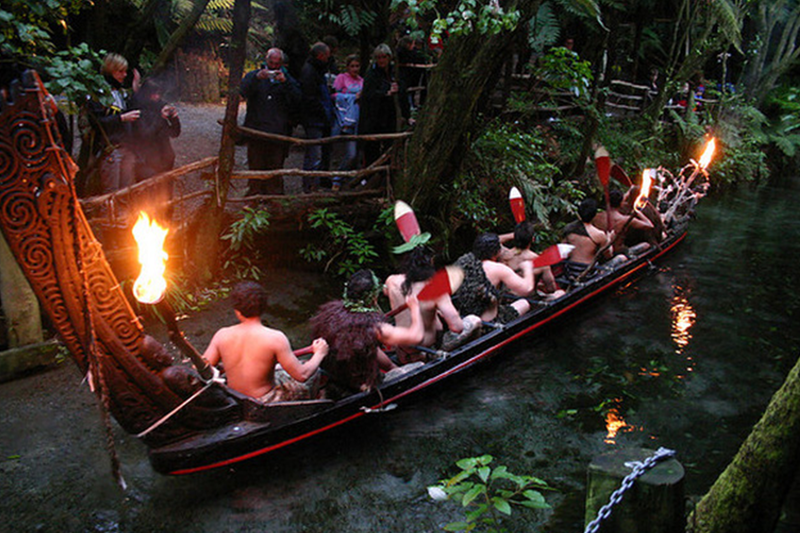 It's a once in a lifetime cultural experience, making it one of our top 5 must do activities in Rotorua for sure! 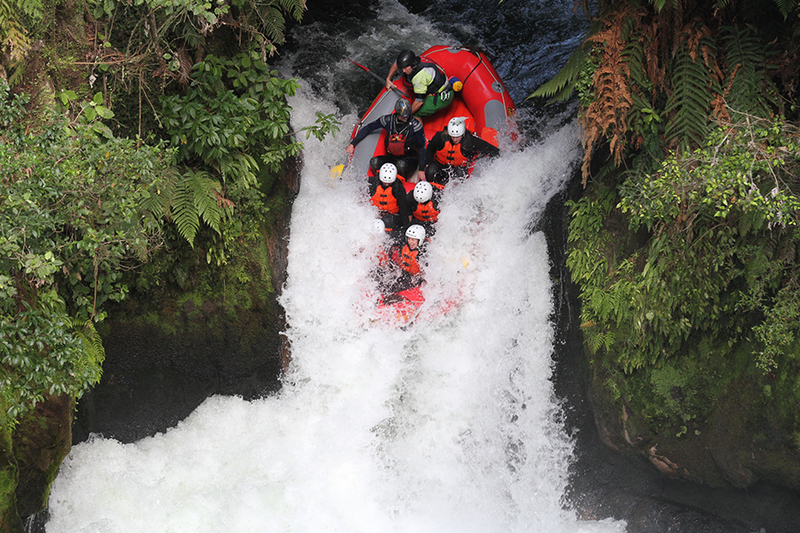 Whitewater rafting is definitely one of the must do activities in Rotorua. Featuring the largest commercially rafted waterfall at a massive 7 metres, it'll be an experience like never before. We love the rafting company River Rats, who offer a 3 hour, fully guided tour down the Kaituna River. You'll receive training, wetsuits, life jackets and helmets. Your guides will then gather you into the raft and throw you in the deep end! You'll learn about the area that you raft through, the history behind the river and grab your daily adrenaline fix! This is the perfect place for thrill seekers to test themselves as well. Photo: The River Rats raft boat trying to stay above the water - all smiles and laughs from the crew in the boat! The geothermal activity we have is what Rotorua is most famous for. The main city is built on a large geothermal field, stretching from Rotorua's southern entrance to the lake edge. It's known for its distinctive smell, beautiful geysers, unique mud pools and mineral pools. One of the top geothermal experiences is Te Puia. Here you can learn about Maori culture and history and visit geysers and mud pools. There's even the opportunity to experience how Maori used the resources of the city for their personal lives. 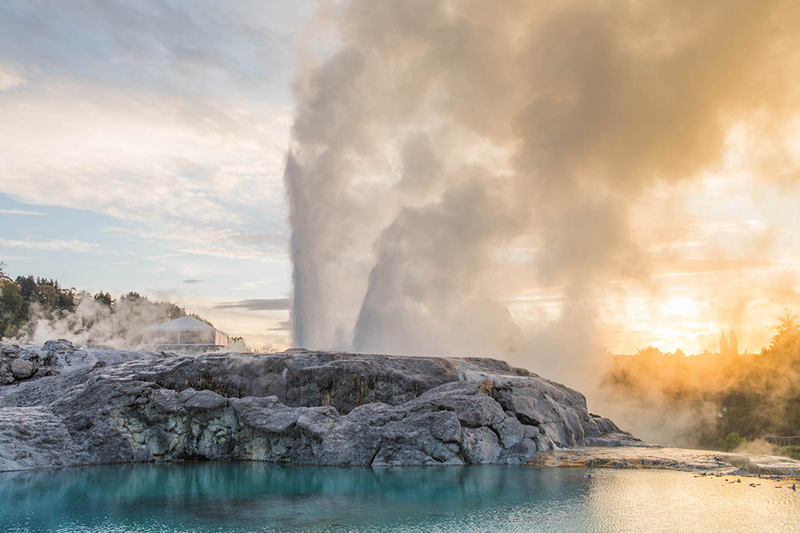 The world renowned Pohutu Geyser is found in this geothermal park, shooting up to 30 metres (100ft) and is surrounded by many other geothermal wonders. This definitely features on our list of must do activities in Rotorua, simply because it's so unique to the heart of the North Island. Rotorua is also home to many different forests, our favourite being the Dansey Road Scenic Reserve. With trees that are estimated to be over 1000 years old, this is a piece of original New Zealand. 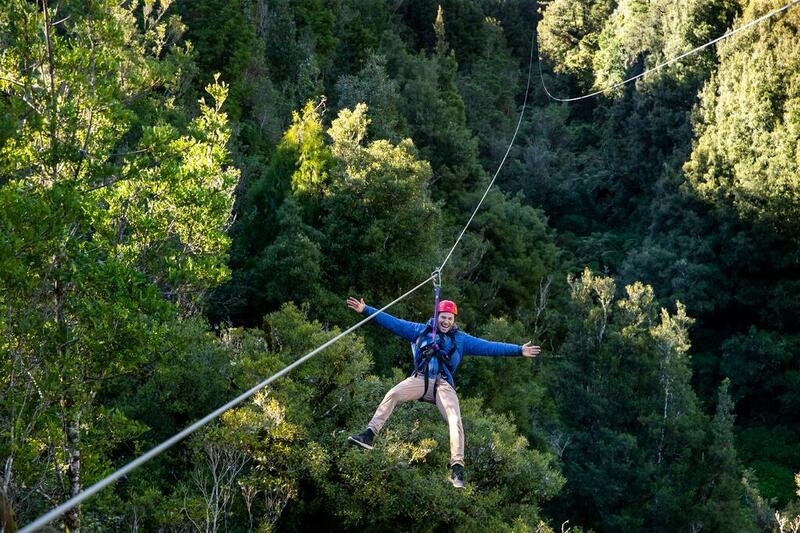 The best way to explore the reserve is on a Rotorua Canopy Tour. You'll head up into native New Zealand forest, with two kiwi guides and all the best gear to keep you safe. In between flying through the treetops and valleys you'll learn about their conservation programme in the forest and get to see some of New Zealand's native birds up close! There's nothing else like it in New Zealand and we definitely consider it to be one of our must do activities in Rotorua! The city of Rotorua might be infamous for it's rotten smell, but it does come with some amazing natural pools. As part of the benefit of living on a geothermal field, there are many to choose from. Our favourite natural pool is Hot 'n' Cold, which is about 25 minutes drive from Rotorua City. This little pool is the result of two streams (a hot one and a cold one) meeting in the middle. It's free to enter, just off State Highway 5 as you travel towards Taupo and is believed to have healing properties. Our favourite time for a soak is on sunset, just in time to see the starry skies and breathe in the open country air. It is one of our must do activities in Rotorua, as it tops off another day of adventure in the region. Check out the map here for directions!